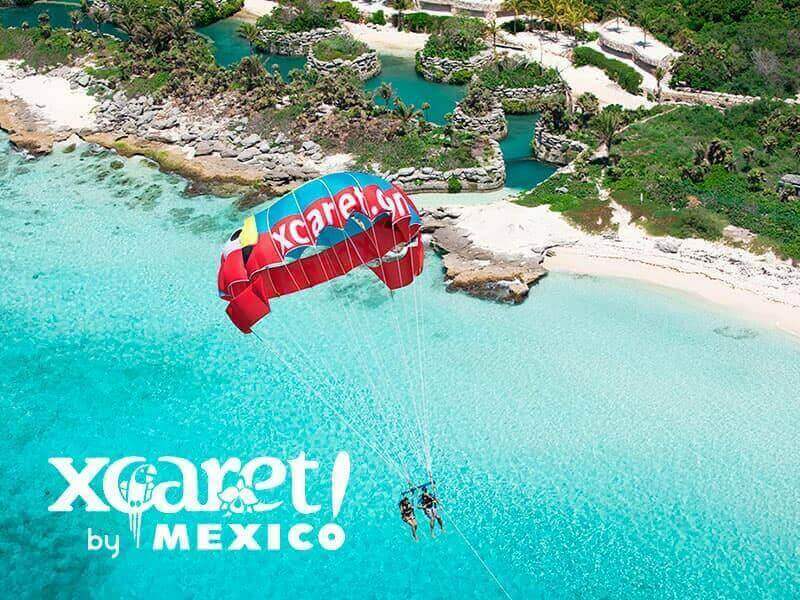 Come to Xcaret, hover in the air by parasail, and contemplate the panoramic landscapes of the Caribbean Sea, and the jungle of the Riviera Maya. 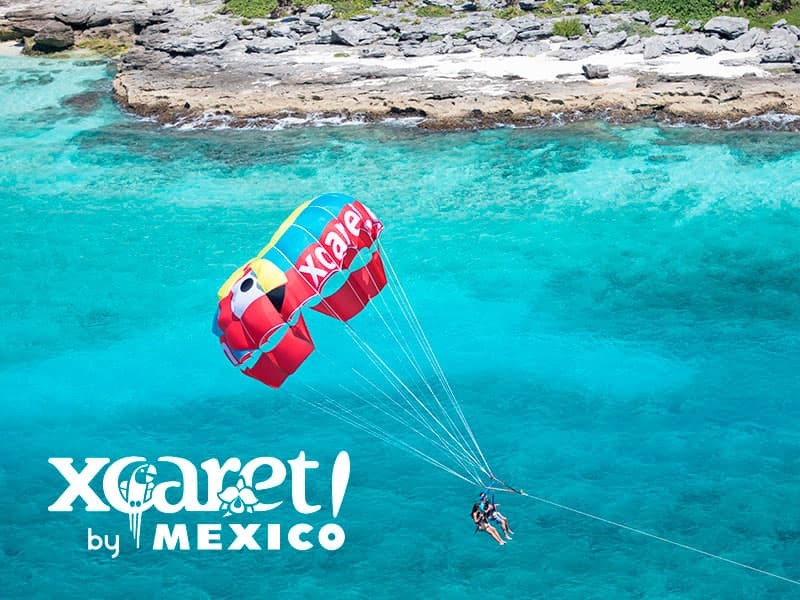 ParaXute is an exciting adventure that will elevate you 600 ft (200 m) high in the Xcaret sky. Flying in ParaXute at 600 ft (200 m) high over the Caribbean Sea (depending on weather conditions). Jet ski ride to the activity’s starting point. Individual harness during the experience. Admission to the Park is not included. Departures: 11:00 a.m. to 5:00 p.m. (every 15 min) depending on weather conditions. You must choose your schedule upon arrival at the Park. Minimum age required: 10 years or a minimum height of 4.6 ft (1.40 m). Vessel has a maximum capacity of 6 people per schedule. The activity can be performed individual or in tandem. To perform this activity it is necessary to purchase a Park admission. For children over 8 years of age. Children 15 years old and under must be accompanied by an adult. Ages 16 and 17: their guardian must sign a Responsibility Letter authorizing them to perform the activity alone. A Liability Waiver must be signed by all passengers. Activity not recommended for pregnant women and those who suffer heart, ear or back problems, asthma, epilepsy, hypertension, and diabetes, or visitors in wheelchairs, with crutches, or with a fear of heights. Bring nothing that could fall from your person. Your purchase is valid for one year and has a Bad Weather Guarantee (only applies 24 hours in advance). In case you need to cancel, you must notify 48 hours in advance for the full refund to apply. You must purchase an admission to the park in order to participate in this activity. 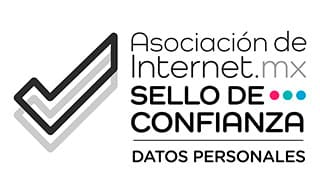 * 10% OFF purchasing at least 7 days in advance. Prices subject to change without notice. Restrictions apply.